If you are thinking of investing in Philippines real estate now or in the near future, the Philippines, especially in Cebu is the right place for you. There are a lot of properties available, may it be a house, condo or even properties that are for rent. 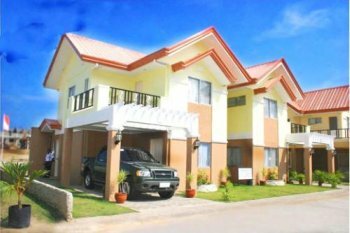 Properties in Cebu are just a click away because the developers are trying to make projects that are affordable and government agencies such as Pag-Ibig offer loans for the owner to pay for their houses or units over a long period of time. Also, some of the developers offer in-house payments wherein the owner will just directly pay to the developer over two or even fifteen years. The availability of Philippines homes, particularly in Cebu range from affordable to high end properties. Of course, the location of the unit is the most important consideration, since the value alone of the lot depends on how near it is to the heart of the city. The value of the lot is proportional to the location of it. The nearer it is to the city the higher the value is. The typical style of Philippines homes are single detached, duplex or townhouse. When you talk about single detached, this is a house that stands alone. A house that is not attached to another house. The lot, if it is affordable housing, varies from 70-90 sqm. The home will usually be a bungalow type or 1 bedroom unit with a modern twist. The prices range from USD $19,000 to $22,000. However, if the lot measures from 150sqm-250sqm then the price usually ranges from USD $28,000-$30,000. A duplex is a house divided into two living units or residences, usually having separate entrances. The style can vary and may be a 2 storey house with the same design as a single detached. The price ranges from $33,000 to $35,000. Real estate also includes condominiums. Condominiums are becoming popular and are considered as an option for living nowadays in Cebu because it has become a highly urbanized city compared to before. That's why some developer's concept is to create an Urban Village so that the owners would still feel it is a place called "home". The prices though are very affordable and most of the units are available for pre-selling which means that you can buy the unit even if it is still under construction and with a lower price, of course, as compared to that of a finished one. The typical available units are studio type, one bedroom, two bedrooms and loft units. The price varies not just as to the type of the unit but also the location, the higher the unit is situated in the building, the higher the price is. Usually if the unit is in pre-selling the price goes from USD $43,000-$50,000 but when the condominium is already finished it can go to as much as USD $75,000 or more. There are also properties available for rent such as apartments and Philippines homes. Some come fully-furnished or semi-furnished or simply bare unit. The contract varies from one month to 6 months or 1 year. The prices are typically from USD $200-$400. To own Philippines homes and Philippines real estate, especially in Cebu, is definitely the right choice for it appreciates over time. It is affordable and livable as well.